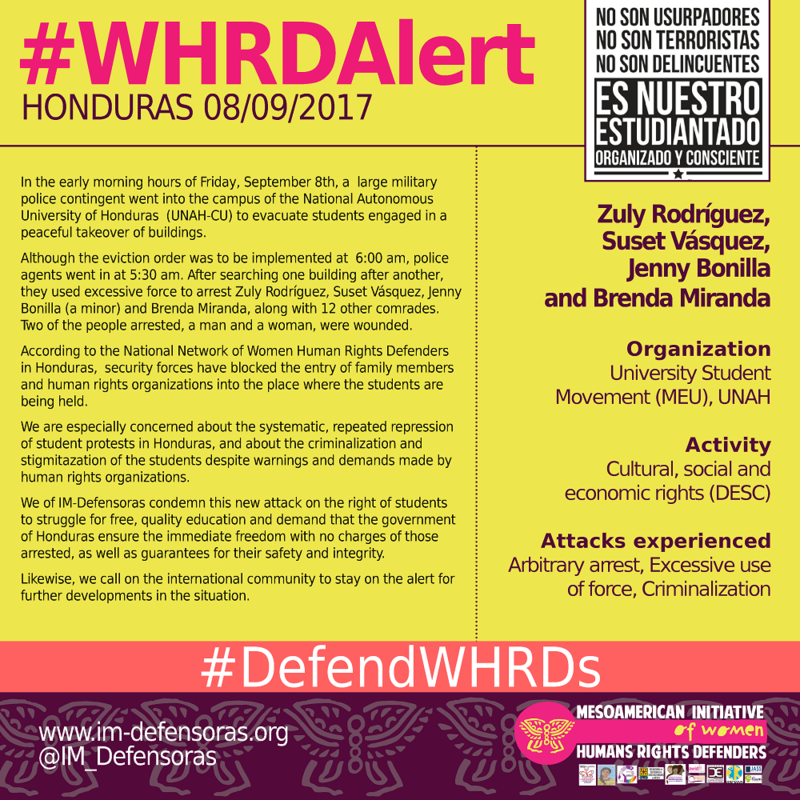 THE FACTS – In the early morning hours of Friday, September 8th, a large military police contingent went into the campus of the National Autonomous University of Honduras (UNAH-CU) to evacuate students engaged in a peaceful takeover of buildings. Although the eviction order was to be implemented at 6:00 am, police agents went in at 5:30 am. After searching one building after another, they used excessive force to arrest Zuly Rodríguez, Suset Vásquez, Jenny Bonilla (a minor) and Brenda Miranda, along with 12 other comrades. Two of the people arrested, a man and a woman, were wounded. According to the National Network of Women Human Rights Defenders in Honduras, security forces have blocked the entry of family members and human rights organizations into the place where the students are being held. 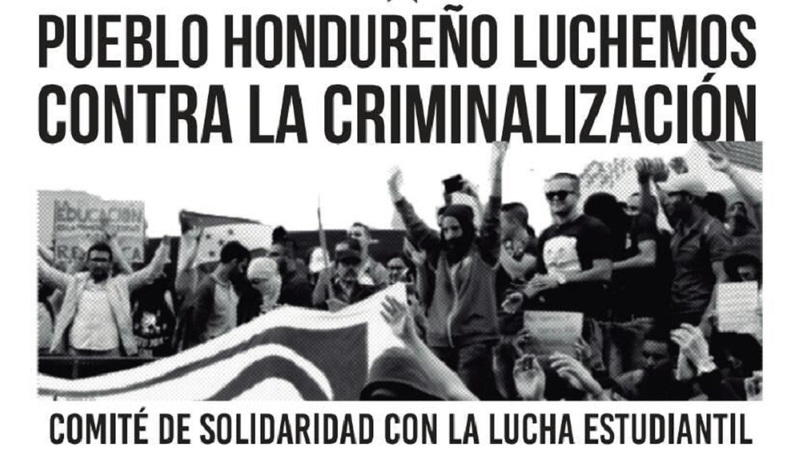 We are especially concerned about the systematic, repeated repression of student protests in Honduras, and about the criminalization and stigmitazation of the students despite warnings and demands made by human rights organizations. We of IM-Defensoras condemn this new attack on the right of students to struggle for free, quality education and demand that the government of Honduras ensure the immediate freedom with no charges of those arrested, as well as guarantees for their safety and integrity. Likewise, we call on the international community to stay on the alert for further developments in the situation.